Tuesday, July 5th - Too Many Moose! Book Birthday! Happy Birthday to Moose! Thursday, July 14th - Too Many Moose! StoryTime and Pet Sleepover at 5:00pm at Orinda Bookstore! Bring your favorite stuffed animal and let them spend the night! Saturday, July 23rd - Too Many Moose! StoryTime at 11:00am at a Barnes & Noble near you! Put on your best pajamas and bring both your bunny slippers to StoryTime for The Wrong Side of the Bed! What to Wear: PJ's of course! Many moose mean much merriment—or do they? Little redheaded, freckled white Martha wants a pet. She consults several books and with great enthusiasm decides to get a moose. The match between Martha and moose is so felicitous that she goes online and orders “one more… // and one more and one more / until she had four!” But even four are not enough, and Martha keeps adding to her menagerie. The moose all happily participate in many activities, many of which start with the letter M: mixing up mud pies, solving math equations, making muffins, and dancing to a mambo beat. Alas, one day the many moose “run amok!” and make messes and mistakes. So back they go, via mail, except for the first moose. Bakos has written a humorous tale filled with rhythm and M-wordplay. Is it an object lesson in the chimerical nature of wish fulfillment or the dangers of online ordering? Maybe, but more than anything, this is great fun to read aloud and an entertaining ode to human-animal friendship. Chambers’ digital illustrations on a white background present moose that are animated, antic, and delightfully personable. March and April have been filled with fun events for The Wrong Side of the Bed, starting with the Book Birthday on March 8th and followed by StoryTime and a Book Launch Party at Rakestraw Books in Danville, California. Since then, I've had a blast taking my book and its menagerie of mischief making animals to Green Valley Elementary School and Barnes and Noble in Dublin, California. And more events to follow! The Wrong Side of the Bed Book Trailer! The title for Mail Order Moose has been changed to Too Many Moose! Here's a sneak peak at the cover for the Advanced Reader's Copy, illustrated by the marvelously talented Mark A. 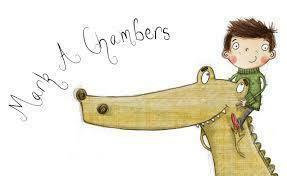 Chambers! 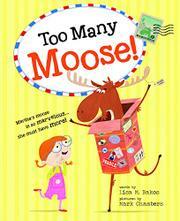 Look for my book in bookstores and online on July 2, 2016...because you can never have too many moose! 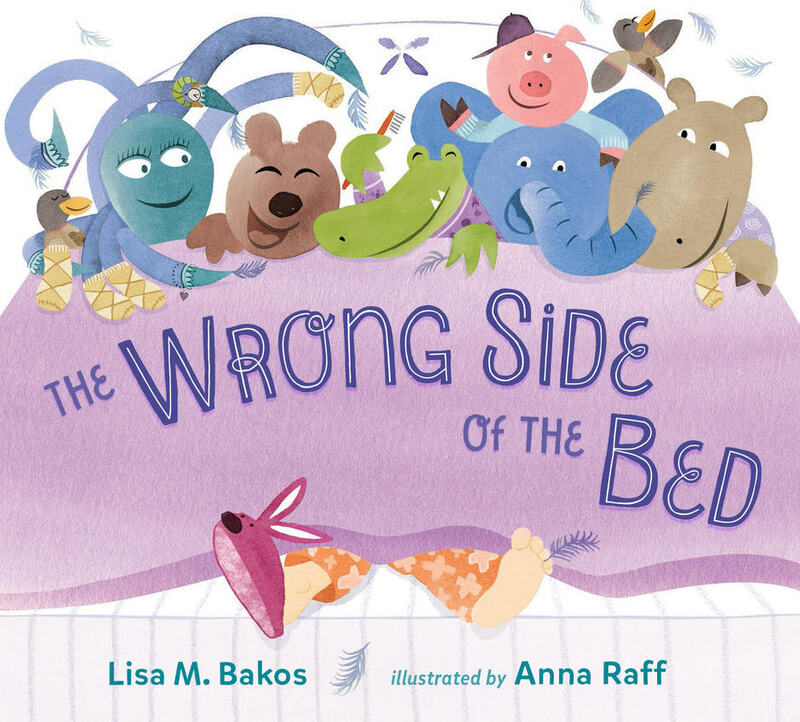 The Wrong Side of the Bed Cover Reveal! Cover reveal for The Wrong Side of the Bed! Release date is March 8, 2016 by G.P. Putnam's Sons...woooo hoooo!! So excited to share the news that Mark A. Chambers is on board to illustrate Mail Order Moose! Published by Sourcebooks, the book is due out in the summer of 2016 and I am very excited to be working with this marvelous artist! 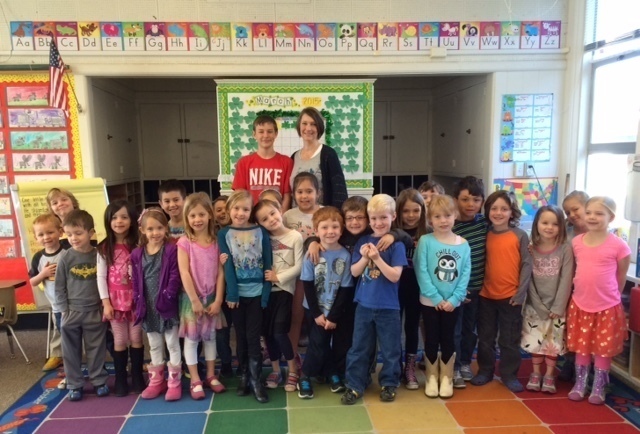 So much fun reading to a darling group of kindergartners at Green Valley Elementary School on World Read Aloud Day 2015. Took along my son Josef (now in 6th grade) who once had the same teacher. I read one of my all time favorites, How Joe the Bear and Sam the Mouse Got Together - written by Beatrice Schenk De Regniers and illustrated by Bernice Myers. That book is 50 years old and though a bit worn from so many readings, is still as excellent as ever!